​In this post I want to share a video with you that shows Charles Brown of CB3 Financial group based in Lake Geneva, Wisconsin. 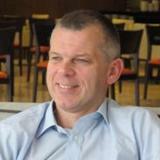 Charly is a fund manager with many years of experience who was an early adopter of Relative Rotation Graphs. In the 2015 MTAEF fund raiser auction, he actually won the bid for a 60 minute phone call with me. That call, which actually lasted a lot longer than 60 minutes because it was such good fun, was the beginning of an ongoing relationship between CB3 Financial and RRG Research. 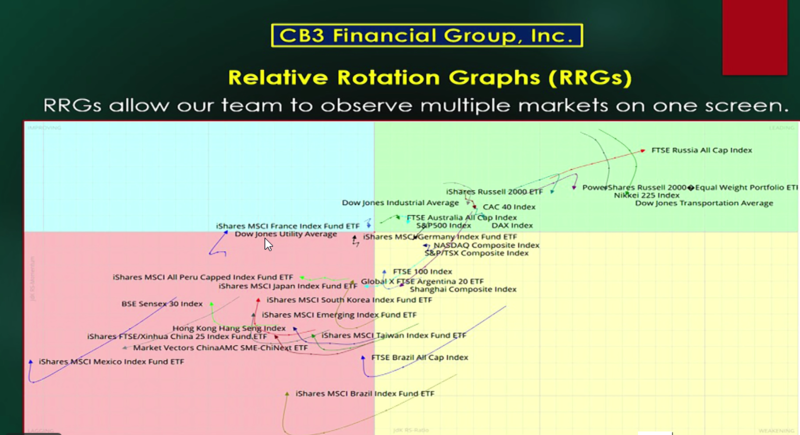 Optuma software; their "weapon of choice"
​Since that call, Charly and CB3 have started to incorporate Relative Rotation Graphs into their investment process for the various portfolios that they are running for their clients. Their "weapon of choice" is the Optuma software implementation for RRGs. This video shows Charly in his "Winter 2017 Financial Fireside chat" address to his clients. Although the whole video, about an hour long, is well worth watching, you can fast forward (after the intro) to minute 50 where the RRG part starts. I hope you like this introduction and a peek in the kitchen of Charles Brown and his team at CB3. As always we love to hear your comments and feedback.